Dunwoody is now home to an elegant executive abode that serves as a delightful dichotomy of style vs. substance. Located at 4952 Leisure Drive and expertly crafted by the talented team at Atlanta’s premier custom builder – award-winning Highlight Homes, this new construction home is an entertainer’s dream on one hand and intelligently planned family headquarters on the other. Showcasing the 5 bedroom, 4.5 bathroom, 4239 square foot West Hampton floorplan, the home is poised on a beautiful .57 acre lot with a spectacular view of the community lake. 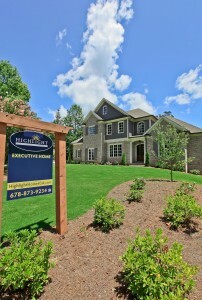 Boasting all of the essential elements for a busy Dunwoody family, the home features a showplace mudroom for stowing backpacks and lacrosse gear, expansive tech center for nightly homework sessions, spacious open floorplan and 3-car side entry garage for all of the various modes of transportation the family might need. When it’s time to put practicality aside to entertain guests, the resident host and hostess will no doubt appreciate the fabulous gourmet kitchen with central island, 6-Burner Gas Cook-Top with pot filler, Oven & Microwave – all by Thermador, and walk-in pantry w/built ins. Visitors can stay close to the action in the kitchen by grabbing a seat in the nearby keeping roomwith gorgeous vaulted tongue & groove wood ceiling. As soon as the dinner bell rings, one and all can gather together in the formal dining room. Once the meal has ended, everyone can either retire to the basement for fun and games or the expansive deck for cocktails and star-gazing. The first level of the home also consists of a great room with coffered ceilings and built-in bookcases and a highly desirable master on main with a wall of windows overlooking the private backyard, luxurious master bathroom and impressive walk-in closet. Just upstairs, 4 secondary bedrooms await. As if all of this weren’t enough to entice prospective homebuyers, the property also features professional landscaping, energy efficient systems, excellent location in one of Atlanta’s most highly revered neighborhoods and fast access to I-285 for workday commutes. To learn more about Dunwoody, check out our Highlight Spotlight on the city. This stunning home is move-in ready and available for $1,049,000. To learn more about this property, potential future homeowners are encouraged to call the builder, Tony Pourhassan, directly at 678-873-9234. 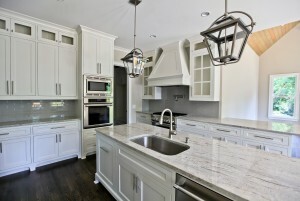 For more information about Highlight Homes – including a chance to view other custom homes and luxury renovations in their online portfolio – please visit www.highlighthomesga.com. 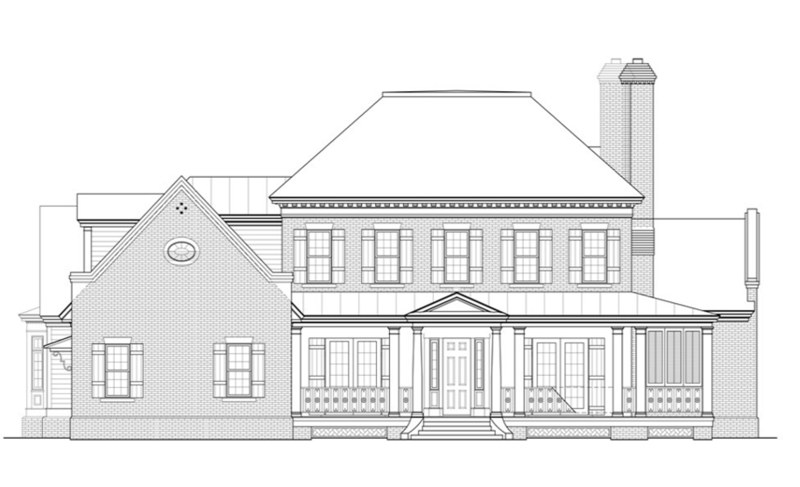 Premier Atlanta custom home builder –Highlight Homes – has launched construction on another elegant semi-custom home in the Historic Brookhaven neighborhood of Atlanta. By contracting with the builder in the earliest stages of construction, one lucky home buyer will have an opportunity to enjoy a build-to-suit custom construction experience and handpick virtually all of the elements that will make this stunning 5 bedroom, 5 ½ bathroom, 5,000+SF home uniquely their own. 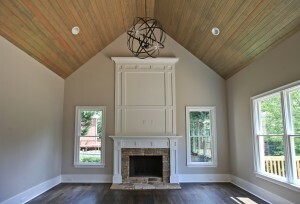 Upon completion, the home – located at 960 Carter Drive NE in Atlanta – will be poised upon 1.35 beautifully wooded acres. If they hurry, the future home owner can propose a floorplan of their own. Otherwise, once the foundation is laid, the home will feature an exquisite open floorplan, which boasts two master suites – one on the main floor and another on the upper level, as well as three-car garage, two laundry rooms, a showplace gourmet kitchen, spa-inspired master bathrooms, a full basement, countless luxury appointments and so much more. The home exudes an air of welcome thanks to an inviting rocking chair front porch. As a matter of fact, a series of porches, decks, patios and a private backyard extend the living spaces outside – making this home an ideal fit for anyone who loves the Great Outdoors paired with the fine art of entertaining. Located within two miles of the wildly popular Town Brookhaven and within four miles of the bustling Perimeter Mall area, this home offers no shortage of shopping, dining and entertainment experiences. There are also a number of excellent parks nearby, including dog-friendly Brookhaven Park, Blue Heron Nature Preserve and Little Nancy Creek Park with its creek, playground, pavilion, community garden and calendar of events. For world-class entertainment, the future homeowners need look no further than Chastain Park Amphitheatre – which regularly features such renowned and varied artists as Jimmy Buffett & the Coral Reefers, Tony Bennett, Gladys Knight, Willie Nelson, Counting Crows and more. Prospective home buyers who are interested in learning more about this property are encouraged to call the homebuilder, Tony Pourhassan, directly at 678-873-9234. 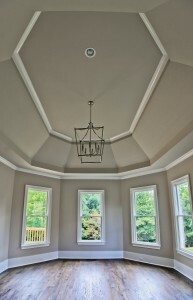 For more information about Highlight Homes – including a chance to view other custom homes and luxury renovations in their online portfolio – please visit www.highlighthomesga.com.